A recent un-scientific survey done by me, recently demonstrated that malaria, the flu, and even migraines are all preferable to suffering from food poisoning. Don't be a victim of food poisoning! 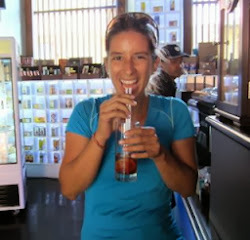 I'd like to post a few tips to help your stomach stay happy during your travels. Most of it is obvious but I didn't adhere to it all and, of course, suffered the consequences. I was born and raised in a developing country, so I always thought my stomach was practically lined with steel. I even survived an entire month in India without the slightest discomfort. 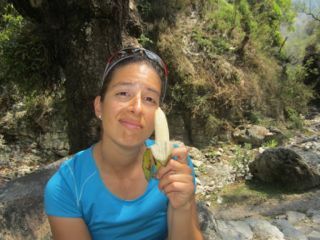 However, Nepal unleashed its wrath on me and I had the worst food poisoning I had ever had in my life. Being a foodie can be hard: everything is enticing! Unfortunately, eating everything is not necessarily good for food poisoning prevention. So, here's a list of a few things that should help prevent you from feeling like sh*t (please keep in mind that I'm not a doctor, and these are just suggestions). 1. Don't eat raw vegetables. That's it really. Unless you are 100% sure that the restaurant washes their veggies with iodine water, just don't do it. If you're craving that nice crisp, delicious salad, hold on to that craving and save it for later. Get a veggie soup instead. Whatever you do, just make sure the veggies aren't raw. 2. Don't eat fresh fruit, unless it has a thick peel like a banana or an orange. Love strawberries? don't. Can't wait to bite into an apple? just avoid it. Avocados, oranges, bananas, limes (I love eating limes with salt!! ), pineapples, papayas are all safer substitues to other types of fruit that will likely get you sick. 3. Get a steri-pen before you leave! This little device worked wonderfully and we continue to use it. Using a UV light, the steri-pen purifies your water by destroying the DNA in microorganisms that can get you sick. The battery one is about $90 and the rechargeable, plug-in one is about $110 bucks or less. 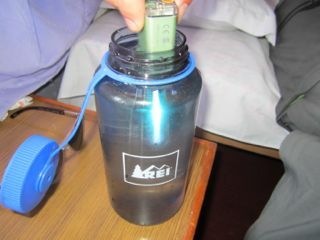 This way, you don't have to rely on bottled water and can filter your own water in your Nalgene bottle. Not only is it eco-friendly but also saves quite a bit of money! 4. Bring emergen-c or the equivalent. This is the one thing we didn't pack and I really wish we had. If you feel that you're not getting enough vitamins, just dilute one packet in your purified water and, voila! Plus, if your stomach is feeling a little iffy, the slight carbonation will feel very nice. 5. Love meat? Please ask if it's fresh! 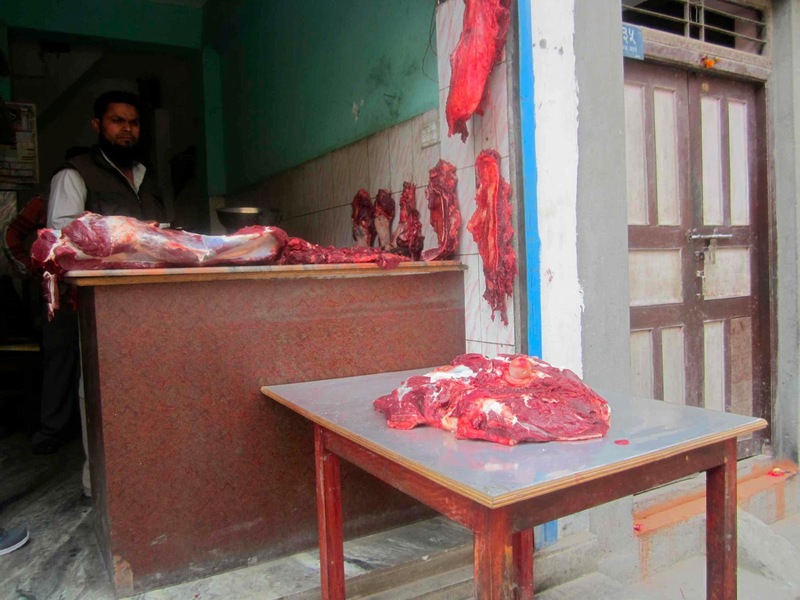 We saw plenty of chicken, goat, and beef meat just hanging out in the hot blistering sun with no refrigeration whatsoever and smothered in flies. You wouldn't want to have a bacteria-ridden, fly egg infested chicken curry, would you? Even if the cooking managed to kill it all, it's just not worth the risk. So, make sure to ask how old the meat is, has it been kept in a fridge or was it recently killed (a few hours is ok). We actually purchased chickens during our rafting trip and then they were killed and plucked and cooked right in front of our eyes - everyone ate some and no one was upset! 6. 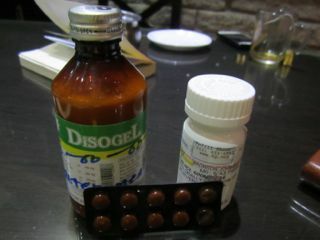 Buy some cipro or heavy antibiotic before leaving. Although it doesn't help to prevent food poisoning if you do manage to get sick, these antibiotics will explode like a nuclear bomb inside you and kill everything in your gut. It's definitely not ideal but you'll rest assured that whatever wriggler got inside you is now long gone. Try to eat some yoghurt to restore some of the good bacteria in your gut and stick to basics while your insides recover. 7. Avoid ice. Iced drinks are amazing when it's unbearably hot out but, unless you know they use filtered, purified water for ice-making, just go for a room temperature drink or go for bottled/canned drinks kept in a fridge. 8. Wash your hands! This should really be on the top of the list. Please make sure you bring your own soap in addition to an instant hand sanitizer. Most places will have some sort of washing option (buckets, kettles of water, actual sinks with running water or streams if you're in the wild) but it's very likely they don't have any soap whatsoever. Make it a habit to wash your hands every single time after you go to the bathroom and every time before eating - even if you're using utensils. It may seem intense but it will be well worth avoiding the horrible experience of food poisoning. 9. Following up on #8, bring toilet paper! Always stuff some in your pockets. TP and soap are both hard to find and you don't want to be stuck in a toilet without TP, especially if nature calls for numero dos. And, FFS, please wash your hands, especially after a numero dos! Street food: freshly cut cassava, ready to fry! UPDATE: 10. Street smarts, follow the crowd. Some readers reminded me about street smarts when it comes to food! I managed to do India for a month, eating street food almost every other day and didn't get sick at all. The trick I found is: follow the locals. If a street food stall is very crowded, it is a really good sign that the food is probably not going to hurt you. 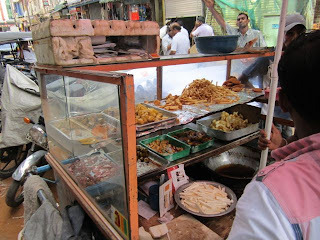 Also, the comment below reminded me that avoiding seafood from street stalls is probably a good idea -- deep fried fish, or really, anything that is thoroughly cooked right in front of you would be my one exception (who can resist!). If the street food is nice and hot to the touch, you're probably in good hands. There are more things you could do but if you cover these basics, you should be ok. It's not 100% guaranteed of course, and I repeat, this is not professional medical advice! But it should help your stomach stay happy during your travels. Even street food is okay to eat if you follow the tips above! Ever since my sickness, I have been a little more careful and have been ok so far. I would love to read any additional tips or suggestions you may have (thanks for the ones so far!). Things I also remembered from Thailand: only eat street food at high turnover stands, it means it hasn't been sitting there lukewarm all day. And certain countries have seafood with fun bacteria we westerners can't handle - I'm fairly certain shrimp are what sent me to the emergency room....That said, my worst food poisoning was a lovely case of salmonella in HI from some oh so innocent orange juice that had an outbreak. So you never know! Thanks for the great tip! I updated the post to include street food smarts. But you're right, you just never know. It's best to just enjoy the heck out of food while being smart and adventurous. You can't win them all but it's worth a try.